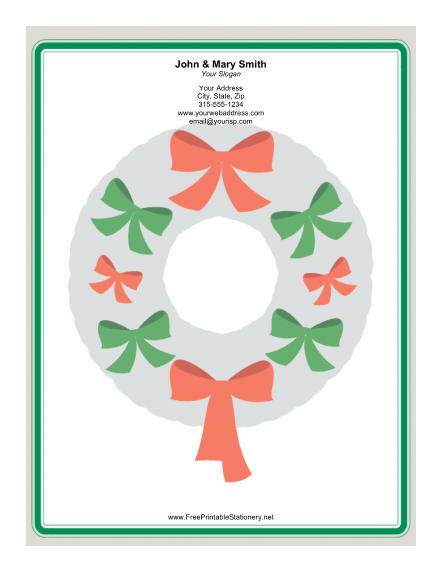 A large wreath is decorated with colorful red and green bows on this holiday stationery. A bright green border creates a finished look for the paper. This letterhead is perfect for writing Christmas notes in the holiday season.